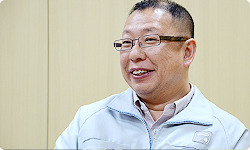 Takemoto-san, when Tezuka-san suggested making the main character Luigi, what did you think? It became easier to explain. Right. Finally it was a game we could clearly explain. Then I got into the work and it was easy to make. Several things were good about switching to Luigi. When we were making the game for Mario, it was somewhat difficult, and I myself wondered if some parts were too difficult. 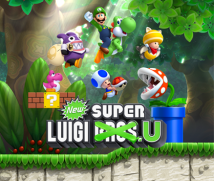 But when we switched to Luigi, we realised we also needed to change the actions. When we did, places that had been difficult weren’t so much anymore. Right. As a result, the balance turned out just right. And since it was add-on content, I thought a digital download would be enough, but then it was decided to also come out with a packaged version. Nintendo’s sales teams around the world pressed you to also come out with a packaged version, right? You hadn’t imagined that at all. No. I just wanted everyone to know about downloadable content, but as for packaging it… When I thought it over, though, I realised that was one way to spread the game. Because bringing out a packaged version would create more opportunities for people who hadn’t played New Super Mario Bros. U to play it. Right. Until then, our target audience was only people who had played New Super Mario Bros. U, and what’s more, only those who wanted to play it more. The great thing about a packaged version was that we could also aim for people who hadn’t played that game. But by switching the main character to Luigi, you also had to rethink the player-character for multiplayer mode, didn’t you? Nabbit 9.9. Nabbit: A new character who appeared in New Super Mario Bros. U. Nabbit steals items from Toad’s House and is then chased by Mario. He’s good at slipping past enemies. Why did you choose Nabbit? When we decided on Luigi as the main character, I talked with Tezuka-san about how I was absolutely against having Mario make an appearance. Yeah! (laughs) The idea came up of using three Toads, but when three Toads show up, the screen gets confusing, so I hounded Tezuka-san about seizing this chance to use a new character. So if you hadn’t pushed for it, there would have been three Toads? Yes, it might have ended up that way. So we decided to rethink the characters from the start. A lot of enemies have always shown up in this series, but not many are allies. The programmer was less than thrilled. Yes. But when he actually made it, before he even showed it to me, I got a phone call from that programmer, who was overjoyed, saying, “It feels so refreshing to use Nabbit! Even the way he walks around the course selection screen is great!” When I heard that, I knew I had to keep pushing for Nabbit! 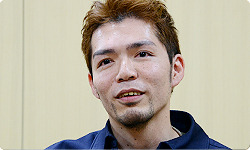 So you made something provisional before receiving Tezuka-san’s approval. I thought Nabbit would solve the problem. And just between us, you can also use Nabbit for single-player gameplay. We said in Nintendo Direct in May11 that Nabbit was only available for multiplayer mode.11. Nintendo Direct in May: Nintendo Direct, May 17th 2013: Nabbit is introduced at 09:52. Later, the specs were about due, so I said, “I don’t mind if it’s a hidden feature, but make it comfortable for beginning players,” and we tried making it so a single player could use him. As for the way you make him appear, you know how old games had hidden commands? Right, right. You could do things like make hidden characters appear with hidden commands. I won’t give away specifics, but you only have to do a certain something once you enter a course, so it should be easy. That’s for the players to discover. Yeah. We couldn’t put those kinds of hidden commands in most recent games, so I hope people will find it nostalgic and enjoy finding it.